The Elmscot Group of Day Nurseries, Nursery Schools and Out-of-School Clubs, based in Altrincham, Cheshire, offers parents a choice of six exceptional Day Nurseries: Elmscot Altrincham, Elmscot Broussa, Elmscot Chester, Elmscot Hale, Elmscot Nantwich and Elmscot Woodlands, as well as eight Kids Collective Clubs based at primary and preparatory schools. All Nurseries offer self-contained Nursery Schools, each led by qualified Early Years Teachers and post-graduate Early Years Professionals overseeing Early Years Foundation Stage (EYFS) education. Of the Group’s 14 settings, eight have been found ‘Outstanding’ in every area by Ofsted (including Elmscot Altrincham, Elmscot Hale and Elmscot Woodlands Day Nurseries), with the remaining settings being ‘Outstanding’ in many areas with overall ratings of ‘Good’. This is an exceptionally high standard, one of the highest in the country and not matched by any other regional provider. The organisation has won national recognition for its achievements, winning several national educational sector awards for exceptional learning environments, staff development and child nutrition. 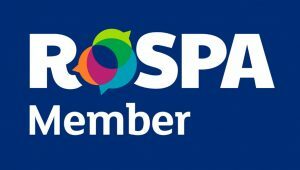 In addition, National Day Nursery Association Awards, Trafford ‘Healthy Setting Awards’, quality assurance schemes such as the NDNA Quality Counts Award and Preschool Learning Alliance Award (at the highest levels), Trafford’s Inclusion Awards and we are members of ROSPA. Kids Collective Out-of-School Clubs are also part of the Elmscot Group and offers the opportunity of continuity of care for children leaving an Elmscot Group nursery to attend a local primary school. Kids Collective cares for children aged 3-11 years, offering Breakfast Clubs and After School Clubs at eight local Primary Schools during term-time and three Holiday Clubs, located at Altrincham Preparatory School, Cloverlea Primary School and Bollin Primary School for the school holidays. Watch the official Elmscot Group video below and learn more about our nurseries. At the Elmscot Group we ensure that each individual child reaches outstanding personal development, learning and outcomes and that they all thrive and achieve their full potential. We achieve this exceptional quality by providing nurturing, safe, welcoming and enabling learning environments both indoors and out, complemented by rich and stimulating learning experiences designed to capture children’s imagination and curiosity. This promotes children’s happiness, confidence and self-esteem, with a focus on teaching children the skills they need to be well prepared for future learning. We prioritise the health, nutrition and wellbeing of children. We provide inclusive practice led by inspirational early years teachers and qualified professionals, dedicated to working in partnership with parents, outside agencies and other settings. We are always mindful of the scale of our responsibility to the children, parents, carers and staff who form our small community. We are simply passionate about doing what we do, well. This quality assurance programme is employed by all nurseries and shows we are providing tasty, nutritious meals in an environment that creates great social skills. We sow the seeds of good food habits for life through practical cooking and growing activities and food-based learning – both for children and their parents and carers. The award has been developed using expert learning from the Soil Association’s flagship schools award programme – which has shown through independent evaluation to make a positive contribution to pupil health and wellbeing. Elmscot Altrincham and Elmscot Woodlands were the first Day Nurseries in the area to achieve the new ‘Healthy Setting Award’ in 2010, and School’s Out were the first settings in Trafford to receive the new ‘Healthy Club’ Award. These awards are based on the national Healthy School’s Award. Elmscot Hale Day Nursery received the award in 2012. This award is reassessed annually. All nurseries have achieved the highest Level 5 rating in routine unannounced inspections. 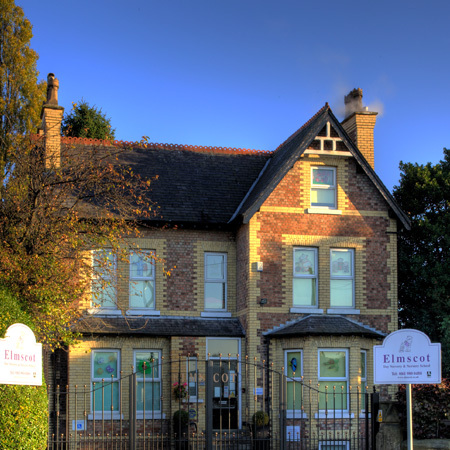 Our menus are renowned and we have often been called upon to advise and support other childcare providers: in 2002, Elmscot Altrincham gained an ‘Outstanding’ from Ofsted for our food provision. Elmscot Woodlands was further recognised in 2009 as one of the best three providers of nursery food in the country, in the national Nursery World Awards. In 2013, Elmscot Woodlands’ Chef won the national Nursery Management Today ‘Chef of the Year’ Award. In 2015, Elmscot Altrincham Day Nursery won Nursery World’s Best Nursery Food UK Award. Our menus run over a multi-week cycle which allows tremendous variety to reflect the diverse society in which we live, and are regularly reviewed by a qualified dietitian. We have a strict food purchasing policy, ensuring we meet FSA guidelines, reducing salt, saturated fat and sugar levels in the ingredients we use, and utilising wholemeal/higher fibre alternatives. Meat is purchased from Taylor & Son’s of Sale, a member of the Butcher’s Quality Guild, where produce is of exceptional quality and sausages are low salt and home-made especially for us. All individual dietary requirements can be met. This is a specific area of learning within the Early Years Foundation Stage national curriculum, and consequently is a major focus for our curriculum planning. To enhance our own provision at nursery, we also offer specialist weekly exercise and movement sessions by Stretch ‘n’ Grow (please see more details under ‘Curriculum and Activities’). At Kids Collective, we ensure there are plenty of indoor and outdoor activities planned offering physical exercise; in fact, physical play is one of five main areas of daily planning provision for every session. At each nursery and at most Kids Collective Clubs, there are outdoor canopies and awnings to protect children from extreme weather and encourage maximum use of the outdoor play areas. Each nursery has a set of triple buggies, so trips out in the fresh air are not just limited to older children. Kids Collective works closely with the Trafford Childcare Development Team to ensure that Clubs deliver best practice. We also work in partnership with the school and other community agencies to support children with special needs. Of the 14 settings comprising the Elmscot Group, eight of them have been found ‘outstanding’ in every area by Ofsted, the rest found ‘Good, with areas of Outstanding Practice’. 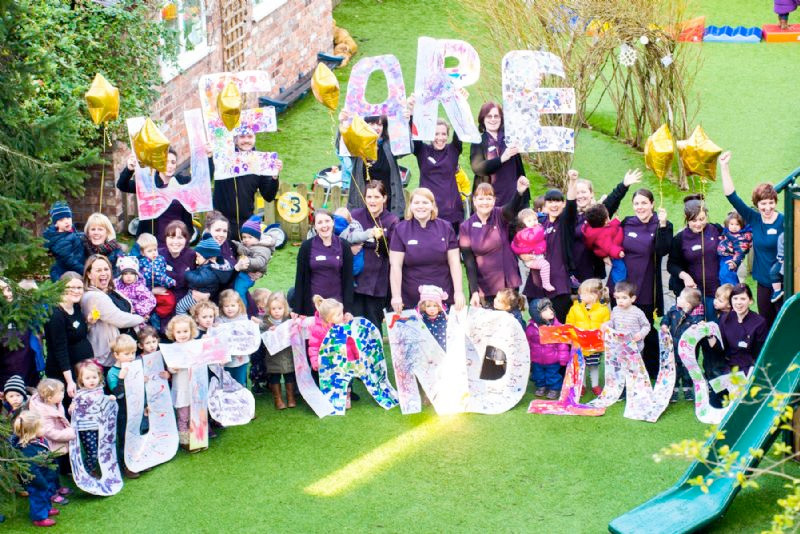 Elmscot Altrincham, Elmscot Hale and Elmscot Woodlands Day Nurseries have Ofsted ‘Outstanding’ status, achieved by fewer than 9% of school and private nurseries nationwide, confirming us as some of the best settings in England. The quality of the childcare we offer is our utmost priority and everything we do, we do with quality in mind. Parents’ views are encouraged and regularly sought via online and paper surveys, parent meetings and news e-bulletins. Since 2001, we have used several QA schemes to ensure the quality of our provision. We have been accredited as an Investor In People and achieved NDNA eQuality Counts accreditation, a quality scheme accredited by Investors in Children and run by the National Day Nurseries Association. Woodlands and Altrincham both gained this Award at the highest Level 3. This is exceptional, and assures their place amongst the best Day Nurseries in the country. 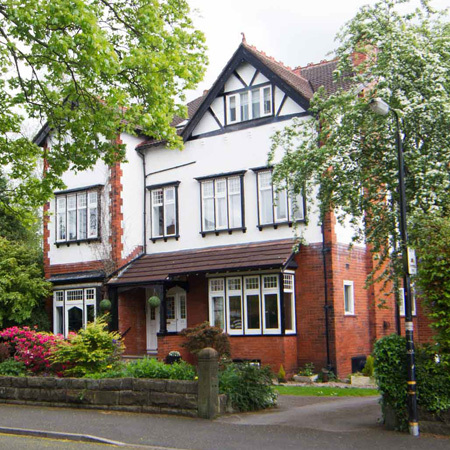 In 2015, Elmscot Altrincham Day Nursery was Highly Commended and in 2016 Elmscot Hale was the Runner Up, both as the NDNA Nursery of the Year UK, as voted by parents. For more information, please see www.ndna.org.uk. All nurseries have earned the Soil Association’s Food For Life Award. Currently, all settings run the Preschool Learning Alliance ‘Reflecting on Quality’ scheme. This provides a framework for supporting the quality improvement process and for celebrating achievement; it is particularly designed to encourage deeper engagement in caring for and educating young children. External audit is important to us as a sounding board for our ideas, and for confirmation that our provision is of the high standard we expect it to be both as professional practitioners and as parents. It gives parents confidence in the quality of service we provide. All settings have been awarded the Trafford Healthy Setting Award and were the first in Trafford to achieve this high standard of nutrition and physical well-being, which is reassessed every year. All settings have achieved the highest ‘5’ Food Hygiene grading by Trafford Environmental Health. All nurseries have also achieved the Trafford Inclusion Stamp, recognising our commitment to providing an all inclusive practice within our settings. Systems for identifying and supporting Special Educational Needs and Disability. 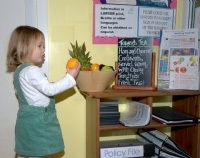 The nursery has close working relationships with a variety of professionals. They can demonstrate that children identified with a SEND make progress. Partnership with parents – there is genuine two-way communication with parents. Children with English as an additional language – staff have a good understanding of how to support children with EAL and see it as a positive attribute. 2016: At the national Nursery Management Today awards in London, Woodlands was a finalist for Best Indoor Learning Award, Rachael Lyons (Elmscot Group Operations Manager) was a finalist for the Best Operational Manager UK and again, the Elmscot Group was a finalist for Best Nursery Group UK. Early Years Professional/Early Years Teacher of the Year (Winner): Jessica Curbishley, Elmscot Woodlands Day Nursery (Joy Homersham of Elmscot Altrincham Day Nursery Highly Commended). 2015: Elmscot Altrincham Day Nursery is Highly Commended as NDNA Nursery of the Year UK, just missing the top spot! Enabling Environments (Highly Commended): Elmscot Altrincham Day Nursery. 2003: Nursery Management Today Awards: Finalist in two categories (Best New Business and Best Nursery Manager). 2002: HSBC, Sky News and Daily Express Start-up Stars Award: Semi-Finalist. 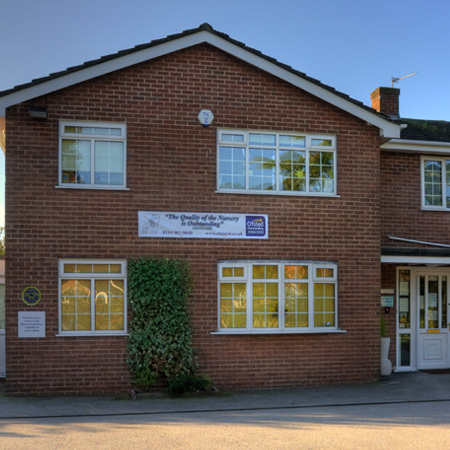 It is the primary aim of all of our settings to ensure the safety of all children in our care and all staff members. Each nursery has a state-of-the art biometric door entry system so only pre-registered adults are able to gain access, and access is automatically monitored and recorded. New parents are registered on the system during settling in. In addition, each nursery has 24-hour external CCTV monitorring, again which is recorded and can be viewed live inside the nursery office. All doors with access to the outside are kept locked during opening hours. No child is released into the care of someone we don’t recognise or expect to collect the child. We have a comprehensive policy regarding the safeguarding of children, including levels of supervision and it is mandatory for all staff to attend external training in this area. Finally, all setting managers are required to undergo formal training in safe recruitment practice to ensure we have a rigorously-checked team in place. This includes an enhanced DBS (Disclosure and Barring Service) check reviewed every six weeks. We follow the statutory framework for the Early Years Foundation Stage, in the same way as schools who accept children under five. More information about the EYFS can be found on the Foundation Years website. Each team within each nursery cares for a small group of children of the same age and manages their own planned activities and environment under the guidance of the Early Years Professionals/Teachers. A Key Person is assigned to your child when you settle in, ensuring your child’s achievements are recorded and the activities to encourage your child’s next steps of development within the Early Years Foundation Stage are varied, stimulating, stage-appropriate and well resourced. We organise special events to support the planned activities, such as the Really Wild Roadshow (hands-on experience with different small animals, including reptiles and mini-beasts), Dino Dinosaur Oral Health visits and Firefighter visits. We celebrate many different cultural festivals and support charities such as the Children’s Adventure Farm Trust, Francis House Children’s Hospice and Children in Need with our own fundraising activities. All off-site trips are arranged in advance in consultation with parents and include simple walks to the park, trips to supermarkets and open air markets where children can purchase their own food, trips on buses to the airport and many more. We also have staff trained in Baby Massage at each nursery to enable us to offer this service free of charge with parental consent. Please ask for further details. These sessions are available free of charge to all children who attend nursery when the workshops are scheduled. Further information for each nursery can be found in our current ‘Newsletter’. Optional Forest School classes are run by We Are Adventurers in partnership with our own staff. They are offered free of charge to preschool children at all Nursery Schools weekly during term time. Each session lasts two hours and takes place in most weathers so children need appropriate clothing (jumpers, waterproofs and wellies). Places on each course are limited to ensure high levels of supervision and in some cases a waiting list may be operational. Children and staff walk to a designated woodland site near their nursery. Sessions include getting creative with mud, hunting for bears, imaginative play with elves and fairies, making music in the forest and getting to grips with puddles, creepy crawlies and the great outdoors. Activities focus on inspiring a love of the natural world in each and every child. Originating in Scandinavia, the Forest school movement centres around the belief that nature and movement is essential to a child’s overall development and wellbeing. Children benefit emotionally, intellectually and physically and they grow in confidence and build resilience through adventure play, creating a foundation for future learning and growth. For more information about Forest School, click here. All Elmscot Group settings are inclusive and hold Trafford’s Inclusion Friendly Award. All children deserve to be supported in the best possible way to reach their full potential. As a provider of early years childcare and education, Elmscot Group practitioners play a vital role in identifying SEN early on. This means staff training is essential and every setting has its own SEND Coordinator. Early intervention relies on a number of strategies at the Elmscot Group: good partnership and information sharing with parents can often be a trigger to recognising any developmental delay; on-entry assessments and regular cohort tracking (tracking the progress of a group of similarly aged children in the different areas of learning) highlights to the key person any areas in which children may not be reaching expected levels (or exceeding them), so we can, every early on, provide extra support to bridge any gaps; observation of children is vital to spot emerging patterns of play and behaviours. Our practitioners work with other agencies where appropriate to ensure a targeted and integrated approach to supporting children and families. All children’s individual needs are catered for and practitioners make adjustments to ensure that all children are able to participate in a wide range of learning opportunities appropriate to their developmental process. The overall aim is to provide every child with the best possible support and opportunities, and prepare them well for the next stage of their education. To discuss our approach in more detail, please contact us. “Fynnley’s transition to Elmscot’s Oak Room was never a concern to us or his Support Services. From his first day at Elmscot, every adaptation and every care had been made to not only support Fynnley, but to fully include him in nursery life and ensure that every aspect was adjusted to a level that would meet and encourage his understanding of the world around him. Not only this, but his peers were encouraged to embrace the way that he sees the world and I believe the ‘sensory’ way of doing things very much became the normal way of doing things!